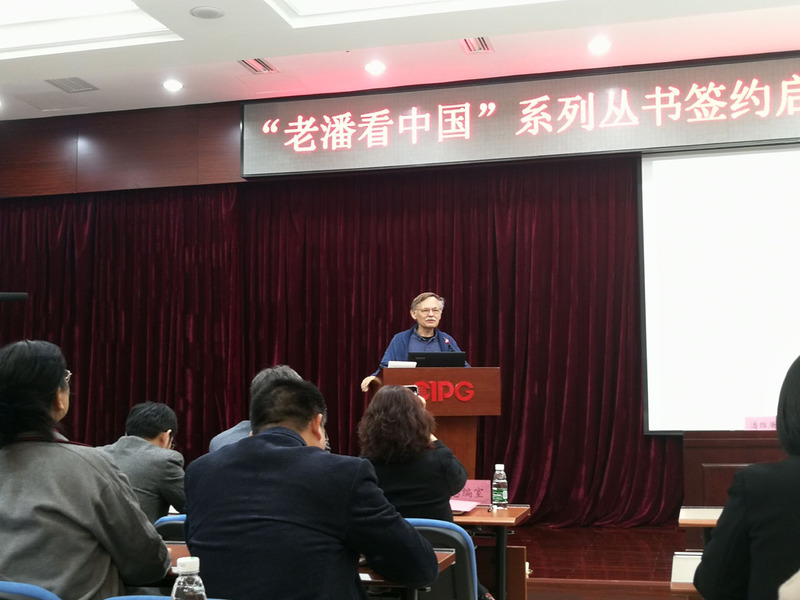 On March 20, China International Publishing Group (CIPG) held the signing ceremony of the series “Lao Pan’s View of China” and Off the Wall Story Salon. Ahead of the ceremony, CIPG Vice Presidents Lu Cairong, Gao Anming and Liu Dawei met with Dr. William N. Brown, a professor of southern China’s Xiamen University and the author of Off the Wall: How We Fell for China. Well-known to many people of Xiamen, Dr. Brown was affectionately called “Old Pan” (Lao Pan). The Chinese and English versions of Brown’s book Off the Wall: How We Fell for China, published by Foreign Languages Press last year, were well received by both Chinese and foreign readers. President Xi Jinping said in a congratulatory letter that Dr. Brown’s story is a unique and intimate witness to China’s reform and opening up, and encouraged him to continue presenting the real China to the world. During the ceremony, Dr. Brown shared his stories of the publication of Off the Wall and his thoughts on demonstrating China to the world. The “Lao Pan’s View of China” series will feature the true stories of Dr. Brown’s 30 years of life in China, and will be published by Foreign Languages Press for international audiences.